Netflix has renewed its popular science fiction series Stranger Things for a third season. This comes as no major surprise, as the series quickly became a cultural phenomenon when it dropped its first season of 8 episodes in July 2016. Since its release and subsequent fanfare and critical adoration, which led to five major Emmy nominations, more film and television projects have seemingly joined the late 20th century nostalgia wave. 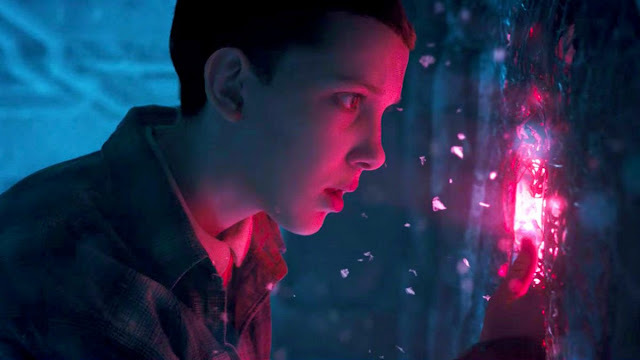 The masterminds behind the show, The Duffer brothers have publicly rolled out expectations for four seasons, which now seems a near-certainty for the cast, crew, and fans of the series. The cast includes Winona Ryder, David Harbour, Millie Bobby Brown, Finn Wolfhard, Gaten Matarazzo, Caleb McLaughlin, Natalia Dyer, Charlie Heaton, Cara Buono, Noah Schnapp, Sadie Sink, Dacre Montgomery, and Joe Keery. What do you think of this news? Share your thoughts with us below.